Why would I need self storage in Hayward, CA? There are a variety of reasons why you might need self-storage in Hayward, CA. How much is a storage unit in Hayward, CA? The cheapest storage unit in Hayward, CA is $64.00 per month. What size storage units do you have available in Hayward, CA? In Hayward, CA we have sizes that range from 4'x5' to 10'x32' to suit your storage needs. How much is it for a 4'x5' storage unit in Hayward, CA? The cheapest 4'x5' storage unit in Hayward, CA is $69.00 per month. 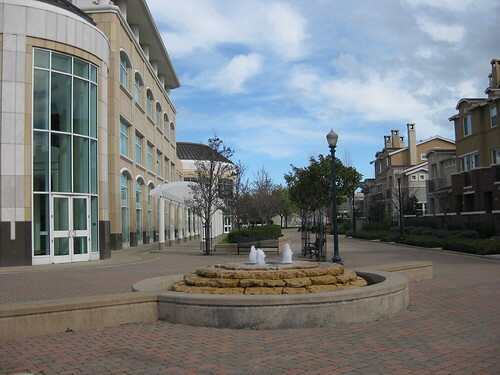 Hayward is a conveniently-located city in Alameda County, just a short drive from San Francisco, San Jose and Oakland. Its central location has earned it the nickname "the Heart of the Bay" and has served to attract a growing and diverse population. It's among the most ethnically-diverse communities in the nation, and this rich diversity is reflected in the city's vibrant arts and culture scene. Hayward's long history began with the Costanoan Indians, who occupied the area for around 3,000 years. Many decades later, the land that is now Hayward and the larger Castro Valley was awarded to Spanish soldier Guillermo Castro in gratitude for his military service. A few years later, the gold rush brought William Hayward, the city's future namesake, to the area. Hayward was a "squatter," establishing a home on Castro's property without permission. When he was asked to leave, he instead purchased 40 acres of land. There he built a luxury hotel, and he eventually became the county road commissioner. By 1865, railroad service was available to Hayward, which helped fuel its ongoing growth. Agriculture and tourism flourished, and the Hunt Brothers Cannery operated a large facility in the town. Hayward's portion of the bay's shore was used for salt evaporation ponds, and the town quickly became one of the most successful salt producers in the world. With a diverse, thriving economy supported by the presence of a number of large companies, Hayward is a good place to be looking for a job. You'll find that it's home to several major companies that are spread across many different industries, providing plenty of job options no matter what your professional background may be. Many manufacturing companies operate either their corporate headquarters or major plants in Hayward, including several high-tech companies that are drawn by the city's status as an extension of Silicon Valley. Columbus Salame, Annabelle Candy, Shasta and Impax Laboratories are just a few of the large operations in the city. Southland Mall is a strong retail presence in Hayward, and other large employers include the Hayward Unified School District, St. Rose Hospital and Chabot College. Public school students in Hayward attend schools in the Hayward Unified School District. Special programs in the city include Leadership Public Schools and the Impact Academy of Arts and Technology. There are also several options for higher education in the area, including Chabot College and California State University East Bay. Utilities: Major utilities in Hayward are provided by Pacific Gas & Electric and the city utilities department. Garbage and Recycling: You can expect regular collection of trash and recyclables, based on a schedule that's determined by your home's location. The city also facilitates compost giveaways throughout the year that are provided through Waste Management. Transportation: Hayward has plentiful transportation options, including the Bay Area Rapid Transit (BART), AC Transit Bus and Amtrak. As a city in the Bay Area, Hayward has the traditionally high cost of living that you'll find in most of its neighboring communities. Despite this fact, it's actually fairly affordable when compared with the San Francisco housing market. There's a mix of new construction and established homes, as well as many home styles and price points. Our lowest priced units in Hayward, CA average $83.63 per month. 616 people have reserved units in Hayward, CA in the past 30 days. There are 16 locations within Hayward, CA's city limits. There are 3 locations in Hayward, CA that offer AC and Heating features.